Commercial Color, in Allentown, PA, specializes in large-scale, high-quality printing. Their website, however did not live up to their needs. I designed a new site for them that accurately represents them. They needed a site that was able to showcase their work, allow easy communication with clients, and give clients the ability to upload large files.This site fulfills all of their needs! The large slider at the top of the page scrolls through examples of Commercial Color’s various projects. The new upload button brings up an interactive upload area in a light box overlay (no pop-ups!). Customers can also fill out a form to request a job quote. 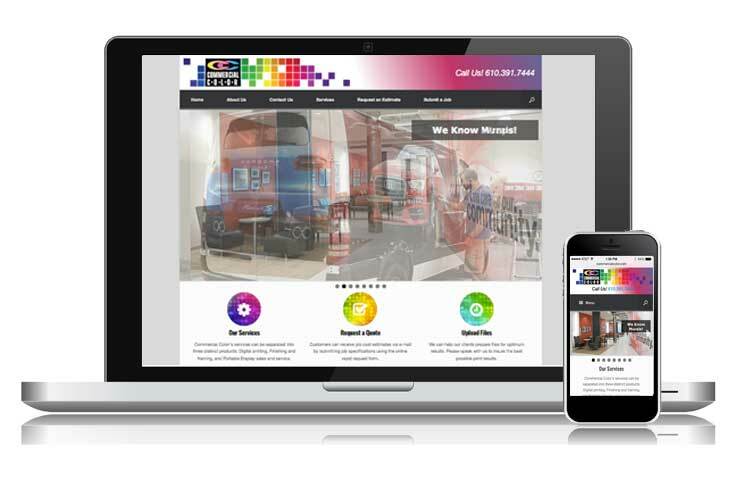 Visit Commercial Color’s new Web site to see more!